Are you having issues with your iPhone after jailbreak? Maybe you jailbreak it and lose important data during the process. Just take it easy. If you have regular backups made by iTunes or iCloud, it’s not a big deal, as iTunes and iCoud keep a separate backup file of your iPhone data (contacts, text messages, whatsApp messages, call history, photos, videos, notes, calendar, etc.) which are not readable. 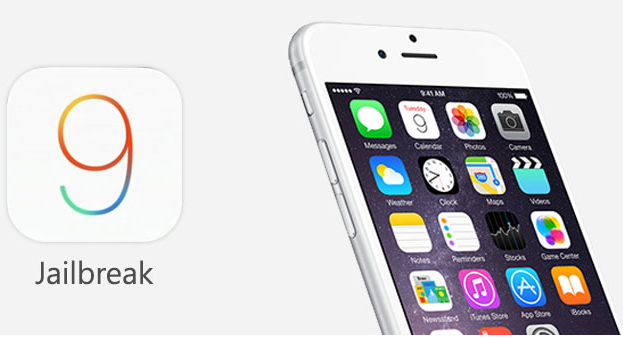 You can restore iPhone after jailbreak via iTunes or iCloud backup. But one thing you should keep in mind is that not to sync your iPhone with iTunes after you lost contents, or your previous data will be overwritten and you won’t get it back. 4)Output data in a readable way and safely save on computer. 1.Run the software. Choose the backup that you want to extract data from and click “Next” to go on. 2.Select the file types that you want to restore from backup and then click “Next” to begin scanning. 3.Preview the scanned files in detail. Then mark those you want and click “Recover” to save them on your computer. It is incredibly simple to do a full restore from backup via iTunes. Simply connect your iPhone or iPad to the computer via USB cable and launch iTunes. Then navigate to File > Devices > Restore from Backup and wait the device restoration completed. Word of warning before you begin a full restore: Restoring from iTunes backup will erase all existed data and settings on your iPhone or iPad. Besides, there is no options to select what you want. Open up your iPhone “Set up” assistance, then go to “set up your device”>“Restore from iCloud Backup ” > Sign in with your iCloud Apple id > select a list that contains your previous backup file in iCloud. Note: Make sure that your iOS devices is of the latest version, or you have to upgrade it to the latest version. 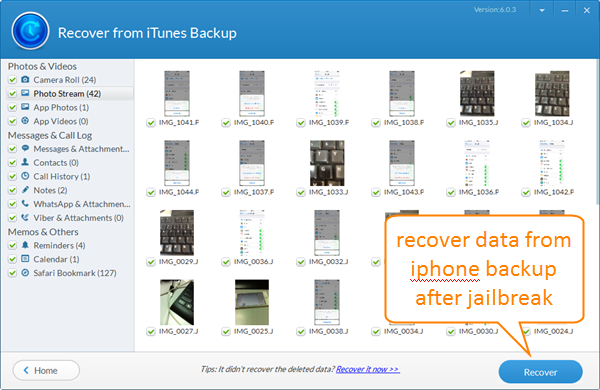 If you’re lucky to have backed up your iPhone with iTunes, you can recover lost iPhone data by restoring from backup. What if you don’t have any available backup? Don’t panic. Here I highly recommend iPhone Data Recovery to you, with which you can easily recover contacts, messages, photos, videos, and more from iPhone/iPad/iPod touch directly. That’s all about restore iPhone after jailbreak error. Hope it helps! 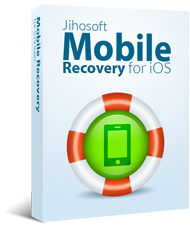 Need help in using the Free iPhone Backup Extractor or iPhone Data Recovery, please don’t hesitate to contact us via support@jihosoft.com.